6:16 pm on Thurs, Feb 13, 2014. Built in 1905 at 126 James Street South. 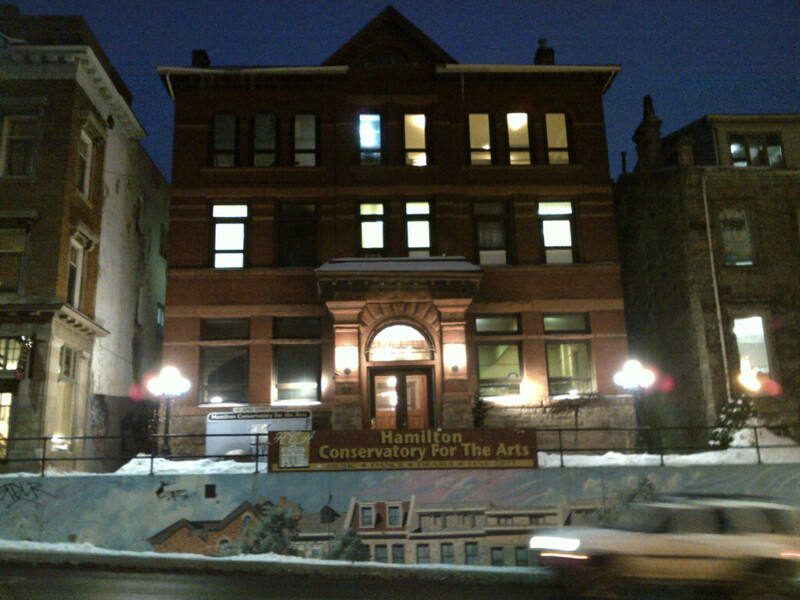 Prior to this building, the First Unitarian Church of Hamilton were located on this site from 1889 to 1905. The Congregation is now located on Dundurn Street South and is celebrating their 125 anniversary. In this photo, you can see the slope in the landscape that created the bog that once existed at James and Hunter prior to the 1840s. Until this bog was drained around 1843 and the mountain access was created, John Street was the principle north-south road in early Hamilton.